Do you have iPads in the classroom? Even if you only have 1, it can become the greatest educational tool you have. Over the next few weeks, I am going to share some of my favorite apps with you. 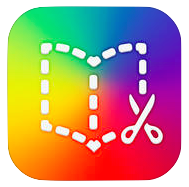 I love Book Creator because it is so versatile. All of my kids can use it and I can easily differentiate the assignment so that everyone can participate on their instructional level. When you open Book Creator, you have 3 icons on the top left. The "I" allows you to select the color of the page. You can change the size and style of the text. You can delete a picture that you added. You can export your student's work into iBooks. Under the "+", you can add photos from your library, take a picture with the camera, write or type text, and record your voice. This feature is what allows all of my students to participate in the same assignment. For my higher kids, they can type their sentences and record themselves reading their stories. My middle kids, they can type or write their sentences. My lower group of kids can orally tell their stories since they are unable to spell most words.